﻿ Tombstone-Lettering TM65 manufacturers,Tombstone-Lettering TM65 exporters,Tombstone-Lettering TM65 suppliers,Tombstone-Lettering TM65 OEM service. The Granite monument and tombstone is Hard and Weather resistant, Durable and beautifully crafted, which really refreshes the old memories of loved ones. Our people work in close co-ordination with our customers to understand their specific demands and execute the products accordingly. Our craftmen are skillful and rich experienced.We also make it with lettering and carving. The Granite monument and tombstone is what we manufacture and export to USA,Italy,England,France,Germany,Czech,Slovakia,Poland and many other countries. 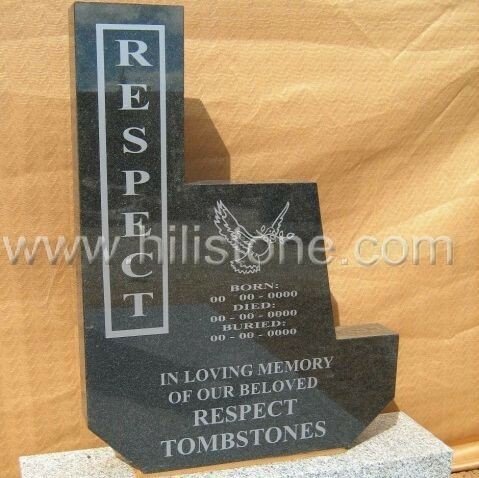 Our range of monument and tombstone are available in various granite colors and dimensions as per the cemetery laws and customers’ specific choice. Most popular granite colors: G664,G603,G623,G640,G654,Juparana,Maple Red,Tianshan Red,Shanxi Black,Inidian Black,Multicolor Red,Bahama Blue (Vizag Blue),Paradiso,Aurora,Himalaya blue,whiskont white,Olive Green,Tan Brown,Labrador Blue Pearl,Impala Africa etc. Copyright © Hili Stone Co., Limited All rights reserved.